History of Cider in America. Cider is made from the fermented juice of apples. Known now as hard cider, so from here on when I say cider I mean hard cider not apple juice. Cider was first brought to America by the original English settlers. Nearly as soon as they landed in the new world they started planting apples. Finding only native crab apples also began grafting cider varieties. Cider production began in earnest. New England climate was not as suitable for grains, and apples were much more successful. Cider became the poplar in early America. By the turn of the eighteenth century, New England was producing over 300,000 gallons of cider a year, and by mid-century, the average Massachusetts resident was consuming 35 gallons of cider a year. John Adams supposedly drank a tankard of cider every morning to settle his stomach. Cider began its fall from grace was two fold. German immigrants introduction of beer making, and Prohibition. Government officials began chopping down cider orchards. After Prohibition was ended, annual grains like wheat and corn produced much faster than apple trees. Beer and whiskey became the popular drink. Days of the homestead cider was over. Cider apples were replaced with sweet consumption apples varieties replaced them. Today cider has made a come back with the rise of micro brews. On my homestead I have recently made three gallons of cider using a easy to do method of making cider. Buy 100% natural apple juice from the store, pack of balloons, and a package of yeast. Give the juice a good shake to get the juice oxygenated. Open bottle pour a little out. Pitch the yeast. I use Lavain c-1118. One package has enough for 5 gallons. Put on balloon as a airlock, so no foreign bacteria and yeasts get in. Then wait. At first the cider will be cloudy. When balloon deflate and cider clears is should be ready. I moved mine into a large wine jug. The longer it sits in to the better it is (ages). Here is a video how to. 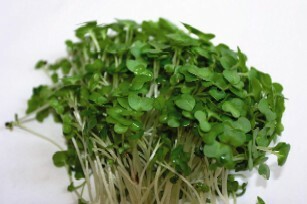 Microgreen are tiny leafy plants that are harvested at about two inches in height. They are not sprouts just young plants. Like sprouts the are easy and take up little space. Broccoli, radish, cabbage, and mustard green can be grown. Here is a video on a microgreen business that is doing very well in a modified shipping container. Please comment and follow me on Twitter and Facebook. Let’s keeps the conversation going.